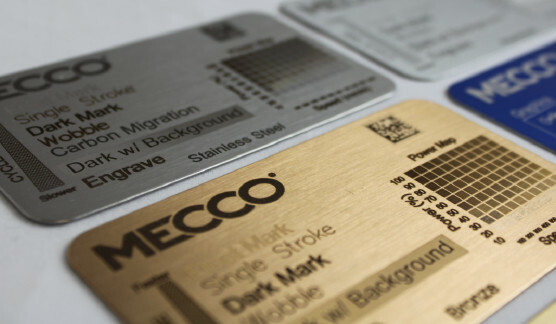 MECCO marks are higher quality, faster, and guaranteed to meet your goals more than any alternative! You receive a full process report! 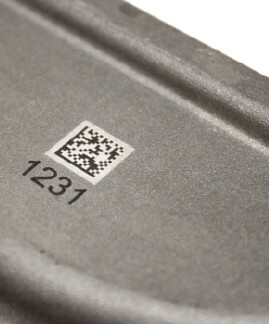 Marking and traceability are essential in today's industrial environment. But, did you know that using the wrong marking method can significantly eat into your bottom line? Be certain you're getting the right mark every time with MECCO's free and easy sample marking process. 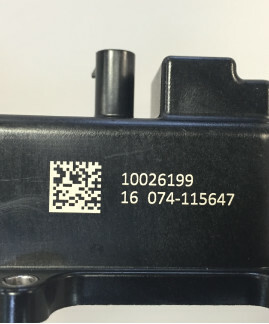 Highly readable permanent marks that give you effective traceability. 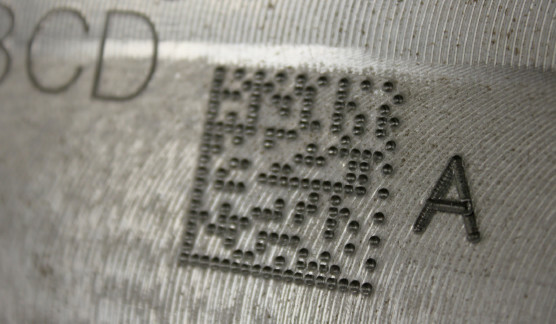 Lasers are extremely adaptable making them suitable to mark everything from metals to plastics, as well as wood, glass and rubber. 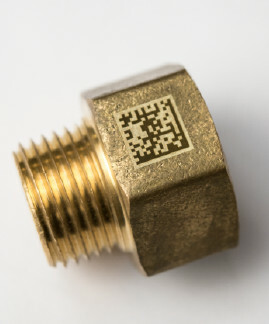 Engrave data deep enough to last in the harshest of manufacturing environments and be readable after painting or galvanizing. 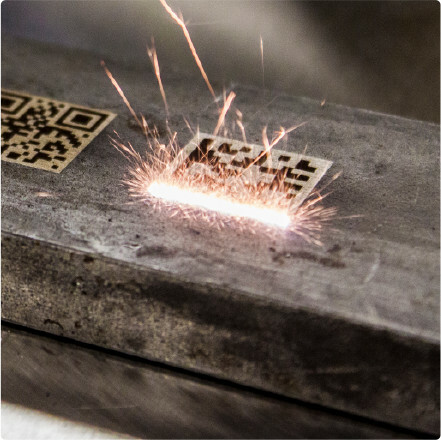 Dot peen is capable of marking on a wide range of substrates including various metals, hardened steel up to 65Hrc and some hard plastics. Our applications engineers possess enormous expertise and experience with both material science and MECCO’s marking technologies. They’ll sit down with you to analyze your individual marking challenges, adapting to whatever is most important to you: substrate material, readability requirements, cycle time, or brand protection. Then, they’ll work with you to design a marking solution that works best for your product and application — so you always get the results that you need. It’s all part of our commitment to providing you with the service and support your need for the lifetime of your product. Requesting a sample is simple! Send us a marking sample request. Our service team calls to arrange shipment. You ship your sample parts to our applications team. We receive the sample and an applications engineer calls to review your needs. The applications team marks your sample marking within an agreed turnaround. Applications team emails a photo of marked parts for your review. Within 24 hours of your feedback, the applications team sends your full sample report. The marked parts are shipped back to you. We arrange a debrief session to review sample quality with you. Having a lifetime use of the MECCO laser lab to troubleshoot and assist in new markings is an extremely valuable offering, which made the difference when considering laser systems. Mark Rottinger, Manufacturing Engineer at Logan Clutch Corp.
MECCO’s team is great to work with. 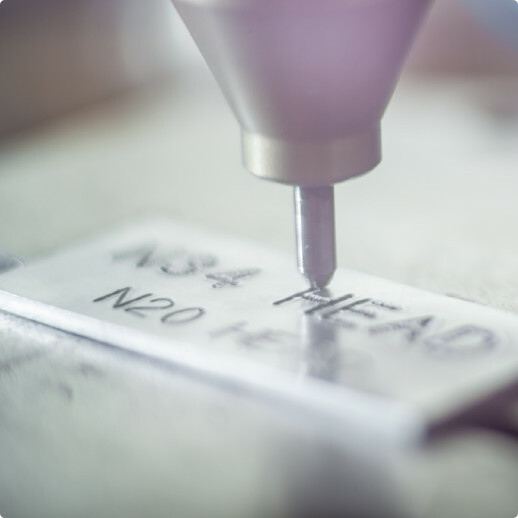 They provide excellent service to help us achieve piece part marking and traceability, and their product makes a consistent, professional mark on our product. 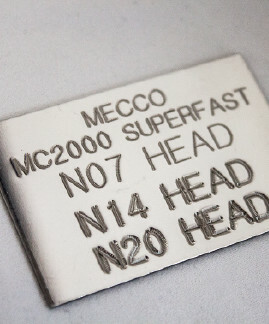 MECCO’s laser marking system produced nice, permanent marks on varying materials. MECCO came out on top in quality and service. Their software and marking samples we tested were superior to the other companies we tested. Request a sample mark today! Test for the best! Request a sample to compare against your current marks. Simply complete the form, and our applications engineers will be in touch.